The LPCXpresso54114 board has been developed by NXP to enable evaluation of and prototyping with the LPC54110 family of MCUs and with the low-power LPC54110 family of MCUs. LPCXpresso* is a low-cost development platform available from NXP supporting NXP’s ARM-based microcontrollers. LPCXpresso is an end-to-end solution enabling embedded engineers to develop their applications from initial evaluation to final production. The LPC54114 SoC has IOCON registers, which can be used to configure the functionality of a pin. The LPC54114 SoC is configured to use the internal FRO at 48MHz as a source for the system clock. Other sources for the system clock are provided in the SOC, depending on your system requirements. The LPC54114 SoC has 8 FLEXCOMM interfaces for serial communication. One is configured as USART for the console and the remaining are not used. 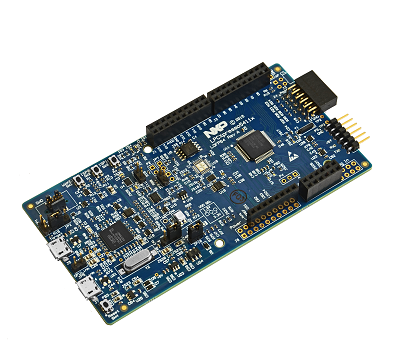 The LPCXpresso54114 includes the LPC-Link2 serial and debug adapter built into the board to provide debugging, flash programming, and serial communication over USB. LPC-Link2 can be configured with Segger J-Link or CMSIS-DAP firmware variants to support corresponding debug tools. Currently only the Segger J-Link tools are supported for this board in Zephyr, therefore you should use the Segger J-Link firmware variant. Before you start using Zephyr on the LPCXpresso54114, download and run LPCScrypt to update the LPC-Link2 firmware to the latest version, currently Firmware_JLink_LPC-Link2_20160923.bin. Serial communication problems, such as dropping characters, have been observed with older versions of the firmware.